This spacious 3 bedroom, 2 bathroom house was recently updated. There is a large living room with fireplace, a formal dining room and hardwood floors throughout. Great kitchen with breakfast area. New counter tops with numerous cabinets which also includes a refrigerator and stove. New bath with separate tub and shower. Private master suite. Great yard for entertaining. Occupancy available mid-April. This will go fast! Call/text for more details or showings. Thank you! ​Fabulous corner location with great curb appeal! This home features 3 bedrooms and 2 bathrooms, a spacious living room with fireplace, beautiful hardwood floors throughout. Formal dining room. Great kitchen with cabinets galore. Cozy breakfast area. 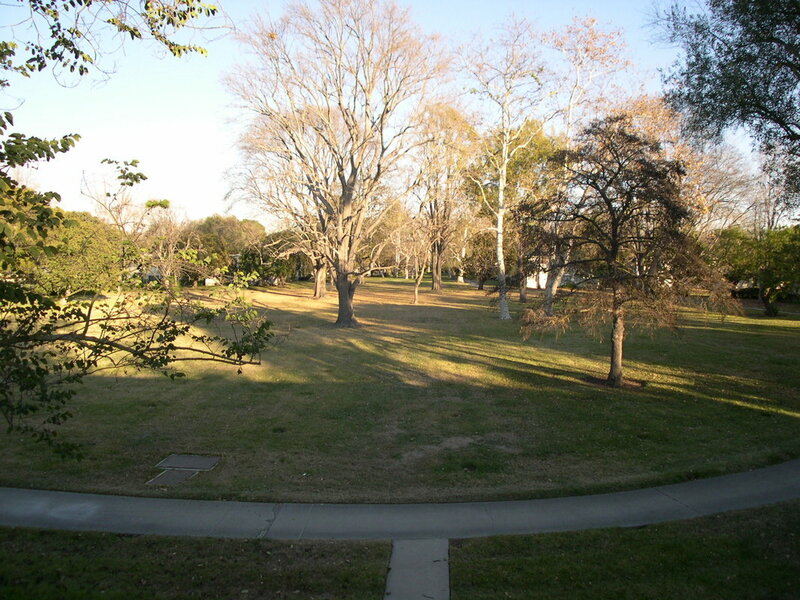 Huge lot and a wonderful yard ideal for entertaining. There are two additional un-permitted buildings in the backyard. One serves as a (~400 sq ft) rec room great for home office, exercise studio or storage and the other building (~300 sq ft) has a half bath and kitchenette. There is a 2-car attached garage. This lovely home is priced to sell quickly. Must see! 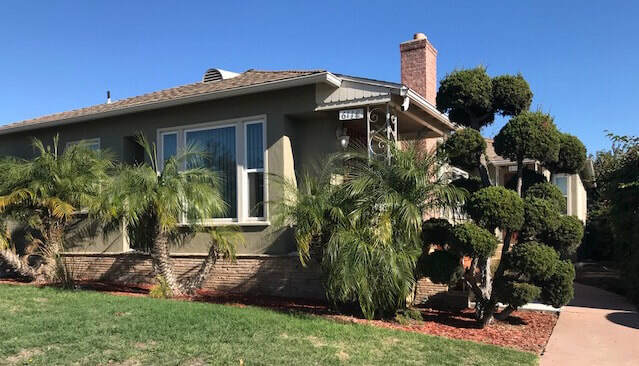 Come fall in love with this beautiful Ladera Heights home featuring 4 bedrooms and 3 bathrooms. There is a spacious living room with a fireplace. Recently remodeled gorgeous kitchen with all new stainless steel appliances including a washer and dryer and cabinets galore with recessed lighting throughout! There is a huge dining area as well. Ideal master suite featuring a cozy fireplace and a completely remodeled bathroom and large walk-in closet. There are 3 other large bedrooms with beautiful hardwood floors. There is a huge private backyard with is perfect for relaxing and entertaining. Central heat and AC. Security system. Attached 2-car garage with direct access to kitchen. Available immediately. 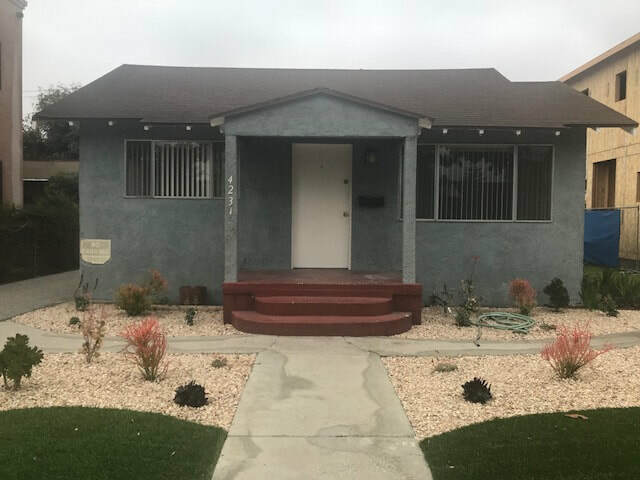 Please call me at 310.428.5164 for more details or showings. Thank you! North Inglewood beautiful top floor unit. Spacious 3 bedroom and 2 bathroom home with a large living room, dining area and built-ins in the kitchen. Freshly painted. New laminated floors throughout. Private master suite with great closet space! Community laundry on premises. One car detached garage. Vacant and easy to show. Call or text only, please. 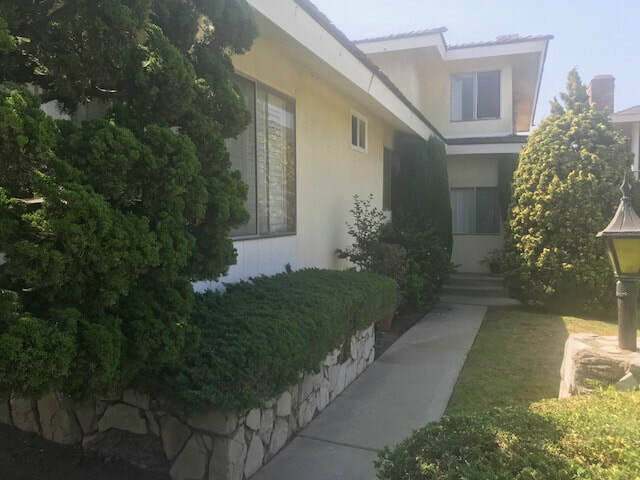 Ladera Heights duplex with over 1,600 square feet with 2 bedrooms and 2 bathrooms. Spacious one level unit with a large living room with fireplace. There is a relaxing, wonderfully landscaped backyard directly off the living room. Great kitchen with eating area, built-ins and lots of cabinets. Private master suite with closets galore. There is a spacious second bedroom with wall-to-wall closets. A washer and dryer hook up in a private laundry room. Central heat and AC. Direct access to a 2-car garage. Vacant and easy to show. Please text or call. 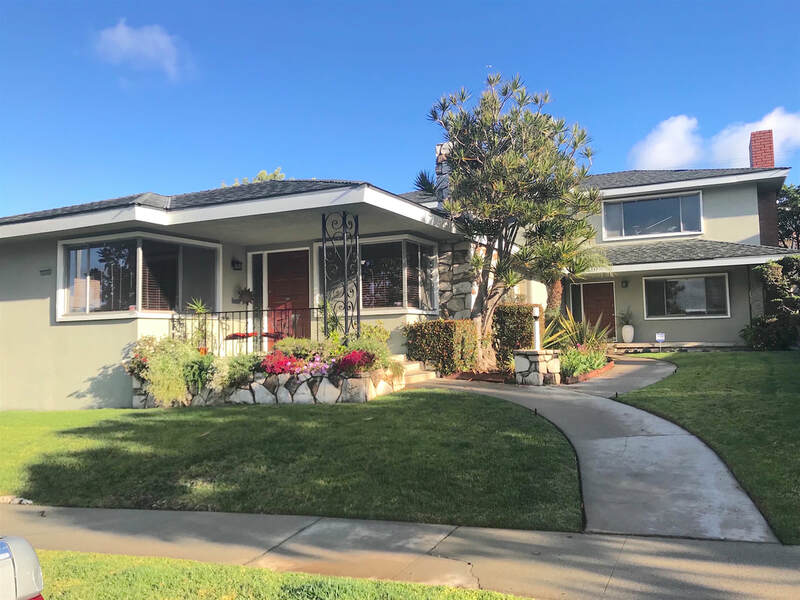 Originally built in 1923, this expanded Canoga Bungalow is set on 2 parcels in one of the most desirable pockets of Woodland Hills. A stunning brick driveway with private gated access leads you to a drought tolerant yard with soothing water feature and trellis covered front porch. A dutch-style entry door leads into the living room with gleaming hardwood floors, crown molding, & brick-faced fireplace. A formal dining room with views of the courtyard grants access to a galley style kitchen, complete with saltillo styleflooring, solid cabinetry, tile countertops with full backsplash, garden window, & separate breakfast counter. 2 guest bedrooms, each with sliding french doors leading to a center courtyard deck, are serviced by a jack & jill bath. 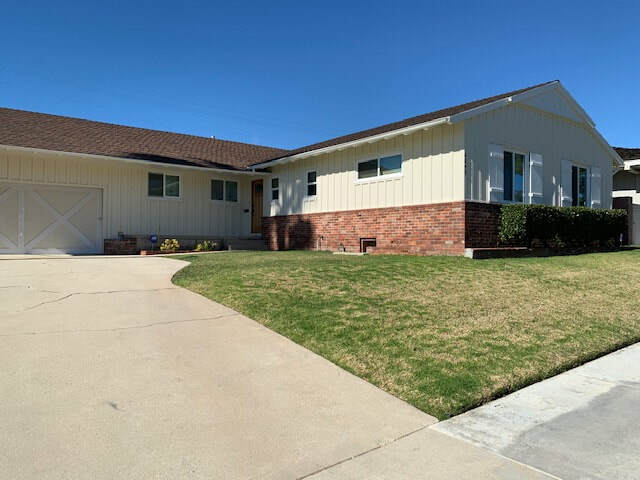 The rear master wing addition received it's certificate of occupancy back in the mid 90's and features sitting area/office, walk-in closet, french doors, & en-suite bath with dual sink vanities & separate jetted tub and steam shower. Dual paned windows, custom moldings & woodwork, recessed lighting, and several skylights are just some of this home's notable features. This expansive lot allows for a detached 2 car garage, long driveway, huge asphalt parking area for cars, boats, or toys. Sale includes Parcel #'s 2168-008-027 & 2168-008-005....Lot sf advertised is a total of both parcels combined. 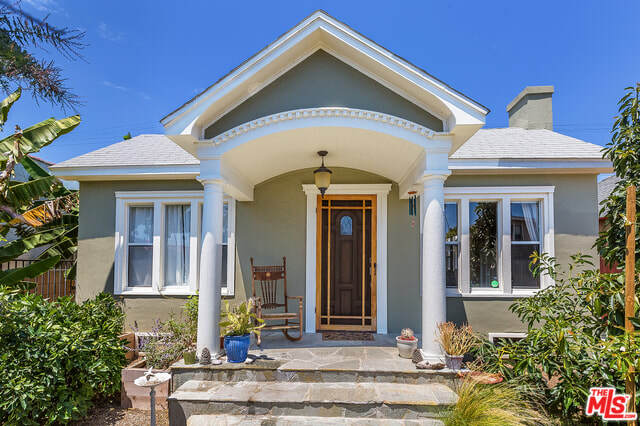 Completely renovated Craftsman bungalow with boundless charm and character! This house has been painstakingly updated with beautiful hardwood floors, ceramic tile, high-end stainless steel appliances including Frigidaire stove, dishwasher, refrigerator, Electrolux washer and dryer and tankless water heater. The bathroom has been completely redone with subway tile, glass mosaic accents, stand alone vanity and Kohler bathtub and designer fixtures. Open concept living flows into gourmet kitchen with designer fixtures, granite countertops, glass tile backsplash.There are plenty of cabinets.The attic has been turned into a studio/loft w/AC, natural light with a view of the Hollywood sign which you access via spiral staircase from the backyard patio - totally charming! 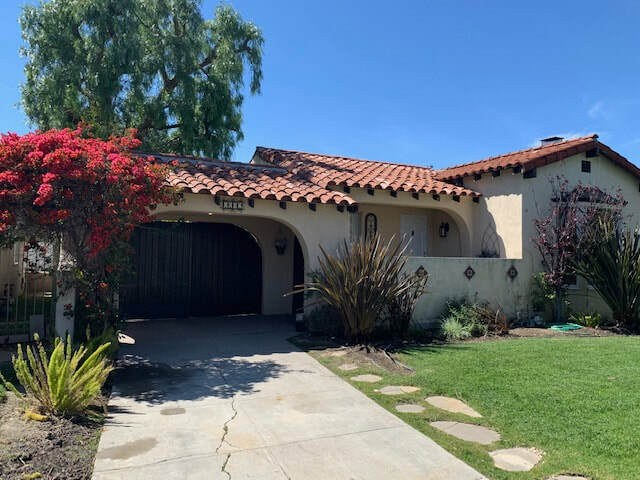 There is a large, completely renovated 1 - 1.5 car garage w/private gated drive.This gorgeous single family home is just minutes from the 10 Freeway and public transportation, coffee shops and the Midtown Shopping Center. Come live the dream in Baldwin Hills Estates! This extraordinary 3 bd 3 ba home has been totally redone. The house offers a creative floor plan cleverly organized for optimal use of space. Open living room, dining area, gourmet kitchen, and oak wood flooring throughout. The kitchen has quartz countertops, white cabinetry, beautiful stainless-steel appliances, a kitchen island, and a show stopper double glass enclosed wine closet from floor to ceiling. There is a master ensuite with a spacious walk-in closet. The bathroom has an oversized shower, double sinks, and frosted windows for privacy. The patio deck runs the full length of the house with space for an entertainment center. 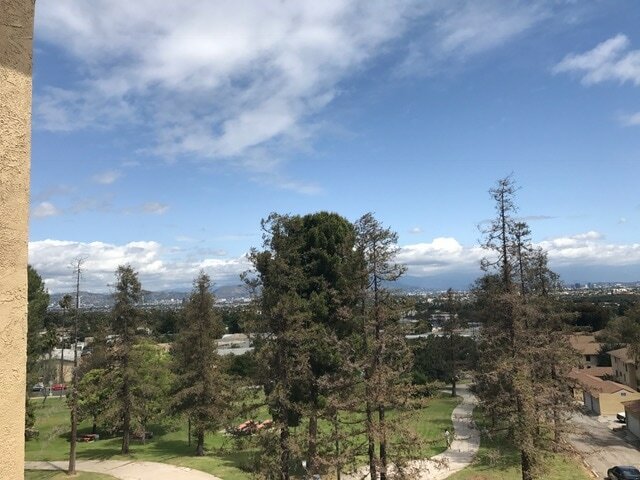 Incredible views from the master suite, living room, dining area, and kitchen that include the L.A. Basin, the Hollywood Sign, the Griffin Observatory, the Downtown skyscape, Hollywood, and the Santa Monica and San Gabriel Mountain Ranges. Eco-conscious landscaping. Co-listed with Rhonda Payne. 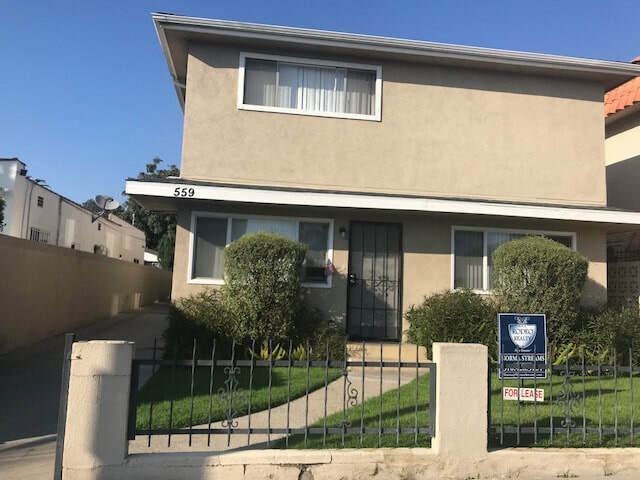 2 bedroom 2 bath upper triplex unit in the community of Ladera Heights. Living room with fireplace. Eat-in kitchen with built-in appliances, washer/dryer hook-ups and city views from the balcony. The unit also comes with a private 2 car garage. Non-smoking property. Call 310.428.5164 for more details and showings. Thank you! Fabulous 2 Bedroom 2 Bath Condo in the heart of Century City minutes away from Beverly Hills and walking distance from the famed Century City Mall. This most desirable corner unit features breathtaking views of the city. Beautiful hardwood floors throughout, luxuriously updated baths. Spacious Master suite with closet built-ins. Great kitchen features stainless steel appliances including refrigerator. This full service building has it all, valet parking, exercise room, and Olympic size swimming pool. This luxurious Mediterranean One Westbluff home features an open floorplan that is ideal for entertaining or quiet evenings in front of the fireplace! The well-equipped kitchen opens up to the spacious family room & features a large island, SubZero refrigerator, Wolf range, Wolf double oven & microwave. The unique indoor/outdoor layout allows you to appreciate the architectural landscape while inside or lazing in the private & serene backyard with a finished built-in BBQ, Brazilian marble countertops & Italian Travertine flooring. The upstairs offers 4 spacious bedrooms, including the master suite with spa-like bath & additional room for an office or gym. Additional upgrades include built-ins throughout, Indian sand stone in the courtyard, 3 car garage, dark wood floors throughout the main living spaces & more! This Silicon Beach home is zoned for Playa Vista Elementary and is also close to Playa Vista's Runway, the Google facility, the beach & nearby trendy restaurants & shops! 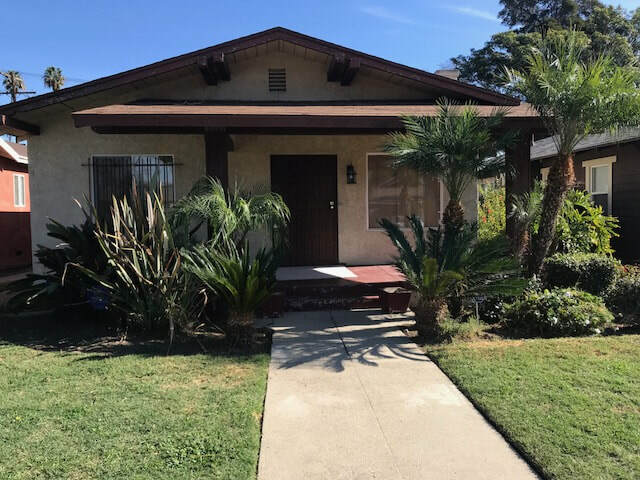 Cute and cozy 2 bedroom & 1 bathroom home in the very desirable Culver City! There is a bright and sunny living room. Spacious kitchen with stove, refrigerator and garbage disposal. There is a washer and dryer in the house. 1-car garage. ​Water, gardening and trash is included in the rent. Available immediately. $2,500.00 per month / $2,500.00 security deposit = $5,000.00 total at time of move-in. 1- year lease. Good to excellent credit and references required. Call 310.428.5164 for more info or showings. Thank you. Generous light defines this beautiful 3 bedroom and 2 bathroom condo in Inglewood! Spacious living room, dining room and kitchen with built-ins which includes a stove and dishwasher. Great price in a great location! Please call me at 310.428.5164 for more details or showings. Thank you! 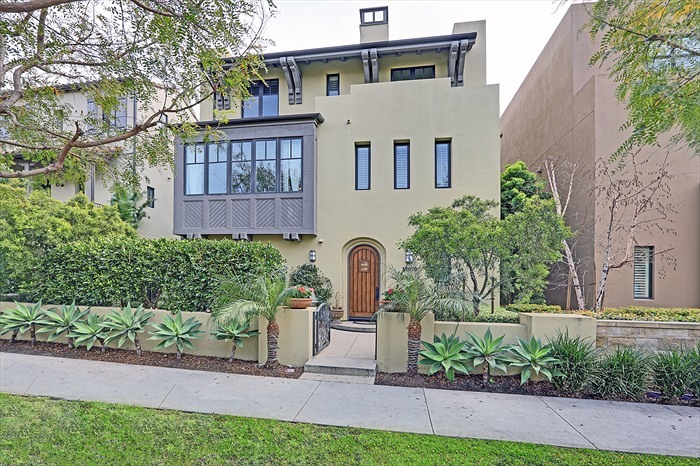 This stunning, recently renovated single family Icon home boasting over 3,400 square feet and situated in the highly desirable Silicon Beach is now available! This conveniently located corner lot residence features 3 large bedroom suites on one floor and 4.5 baths throughout this magnificent dwelling. Enter this lovely home with gorgeous hardwood floors, plantation shutters, a beautifully adorned fireplace and built-in entertainment center. The first floor is the center of activity where the main living takes place. There is a spacious chef's kitchen with European hardwood cabinets and stainless steel, high-end appliance adding to the quiet, understated sophistication of this grand home. There is a generous master suite with a fireplace and mood-elevating en suite. The additional 2 bedrooms have beautiful and generous en suite baths as well. The top floor is currently set up as a high-tech media room complete with bath and small kitchen and can easily be converted to a fourth bedroom. Please call me at 310.428.5164 for more details. The first showing will be at the Broker's Open on February 27 from 11-2. Thank you! 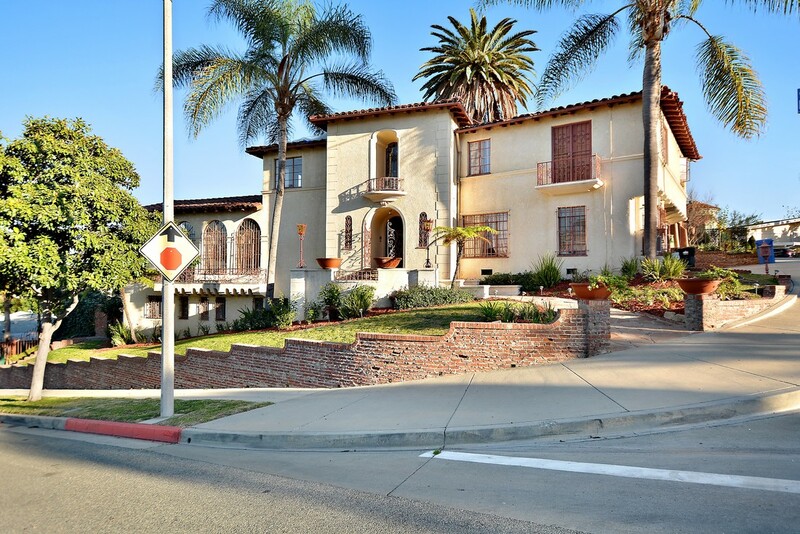 Classic Mediterranean View Park home situated on a corner lot with curb appeal and gorgeous views of the city. This home features architectural details. Prestige, comfort and elegance are the defining qualities of this home. As you are welcomed into the beautifully appointed foyer, your eyes are drawn to the breathtaking spiral staircase. It has an enormous living room with a picturesque window capturing beautiful city views of Downtown LA and the Hollywood sign. Enjoy the sunroom, spacious library and veranda ideal for relaxing. There is a master bedroom upstairs with four other bright and sunny bedrooms. Beautiful, original hardwood floors and plaster walls are found throughout most of this home. There are separate quarters on the downstairs level with a private entrance. Featuring two bedrooms, one bathroom, a cozy kitchen, huge living room and fireplace. Lounge around the large in ground swimming pool with amazing views and be sure to take advantage of the adjacent courtyard ideal for entertaining! This home has so much to offer -- make it your dream home. The potential to this stunning home is unlimited! Please call or text 310.428.5164 for more info or upcoming showings. Thank you! Located in the most desirable Ladera community. This duplex features 2 bedrooms, 2 bathrooms, a spacious living room with hardwood floors throughout. Cozy dining area and great kitchen, laundry hook-up. 1-car garage. Please call or text 310.428.5164 for more info or showings. Thank you. 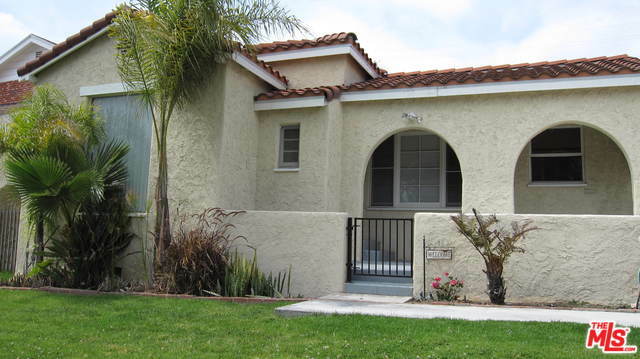 ​Gorgeous top floor unit in Ladera Heights features 2 bedrooms and 2 bathrooms. Enjoy this spacious home with approx. 1,600 sq. ft of living space. Huge living room with fireplace, formal dining area, beautiful kitchen featuring granite counter tops, built-ins, stove, microwave, dishwasher and cabinets galore! Large bedrooms with wall-to-wall closets. Two updated bathrooms. Washer & dryer hookup in the unit. Private 2-car garage with remote control door. Offered at $2800.00 per month. Credit and references will be checked. Please call or text 310.428.5164 for more info or showings. Thank you. Adorable starter home with central heat & air! Large living room w/fireplace. Formal dining area adjacent to spacious kitchen w/eat-in breakfast area. Kitchen comes with a dishwasher, stove and garbage disposal. W/D hook-ups as well. There are energy efficient windows throughout the home which has new carpet and has been freshly painted. There is a large backyard, great for entertaining. Home has a 2-car detached garage and large storage shed as well. 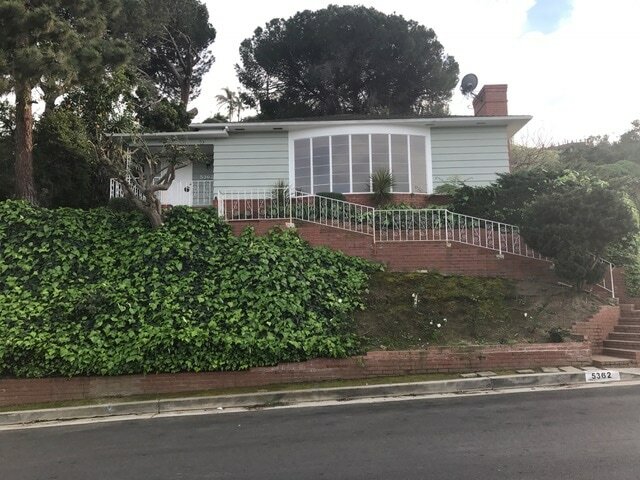 Call me for more details or a showing at 310.428.5164. Thank you! Large well maintained family home in lower Ladera Heights. Terrific floor plan with a spacious living room, formal dining room, huge family room and updated kitchen with granite counter tops and stainless steel appliances. Master suite with remodeled bath and closets galore! Beautifully landscaped private yard great for entertaining. Three car garage with direct access to home. 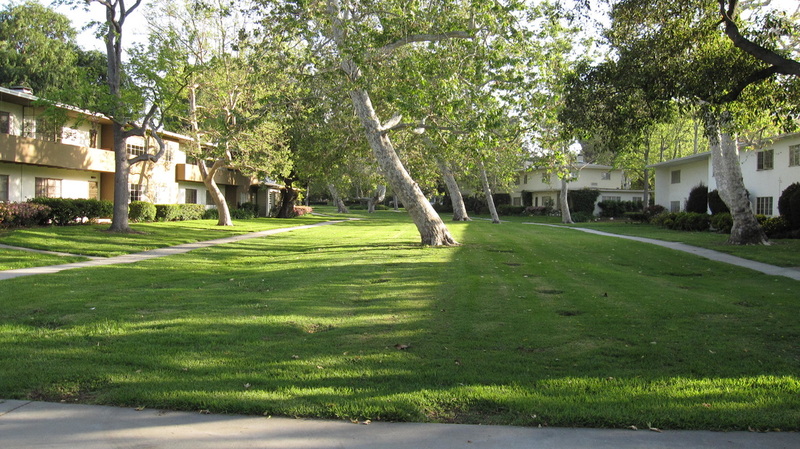 Close proximity to Playa Vista, shopping, dining, LAX, and parks. Great curb appeal! 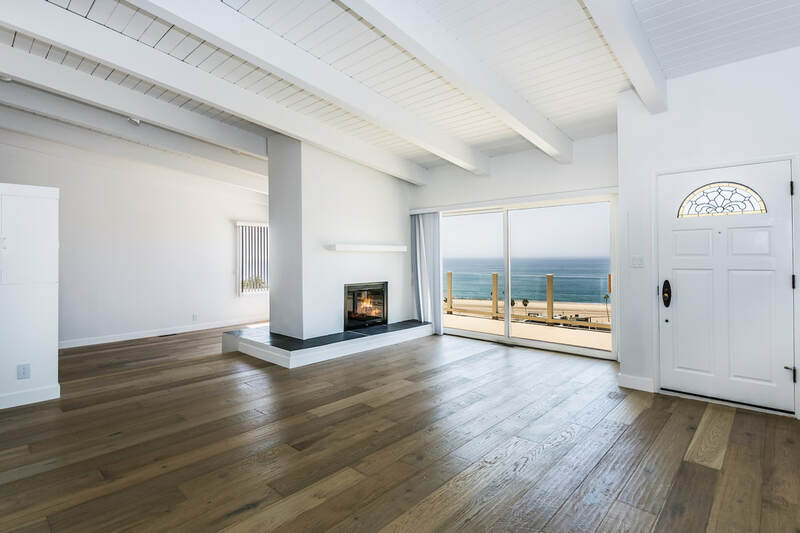 Perched above King's Beach on Vista Del Mar Lane, one of Playa Del Rey's most desirable and quiet northwest bluff streets, this charming 3brm/3bth home features miles of amazing white water/blue ocean/big sky panoramic views. 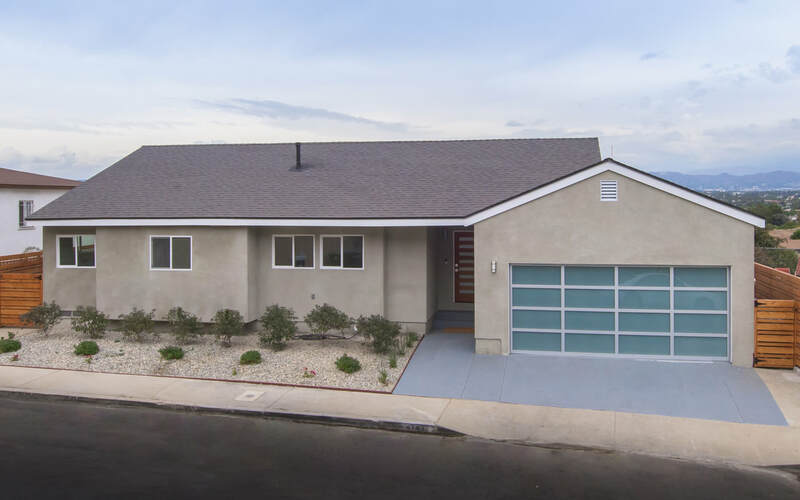 This lovely split-level home is ideal for anyone working in the Silicon Beach area wanting to be steps from the sand. Bask in the ocean breeze while entertaining both inside and out on the large front deck, rear deck or fenced swimming pool/patio area in the backyard. Original mid-century design w/high beamed ceilings, new bleached oak floors throughout, double sided fireplace that warms and illuminates both the living and dining rooms. New central HVAC, dual vanity en-suite master bathroom and quaint eat-in kitchen. A large two (2) car garage w/direct entry and additional exterior parking. Easy access to 90 and 405 freeways, LAX, the Westside and of course, the beach. Don't miss this rare opportunity! One of Ladera's Finest. Mediterranean, Spanish Villa situated on a huge corner lot with amazing curb appeal. Private gated entry. Living room with cathedral ceiling. Formal dining room, beautifully remodeled kitchen complete with granite counter tops, oak cabinets, stainless steel appliances and recessed lighting opening up to a spacious family room. Wonderful master suite, spa tub, home office with fireplace. Sparkling swimming pool and spa. Large patio and a spacious grassy backyard. Fabulous Village Green Condo, top floor unit on the main green. Tastefully updated, new kitchen, new appliances, new carpet and freshly painted. Wonderful balony overlooking lush greenery. Huge bedroom with closets galore. 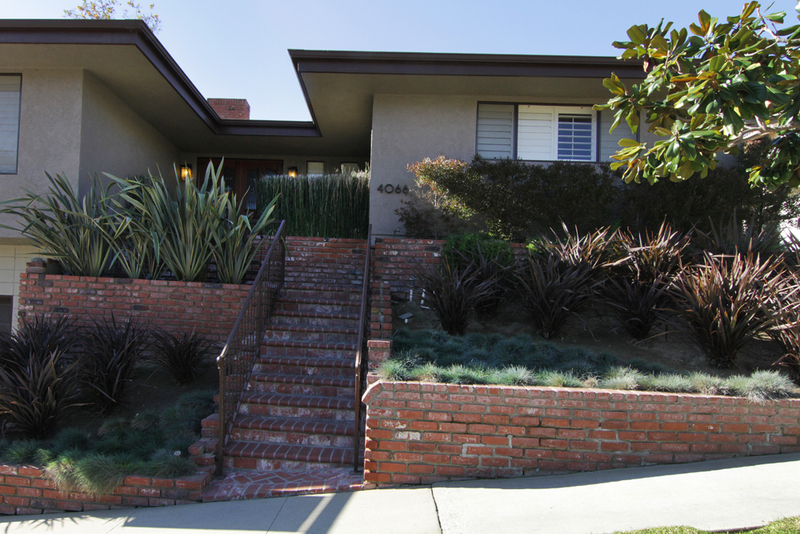 National Historic Landmark, named one of the best kept secret places to live in Los Angeles. The property address is 5591 1/2. ​Come and fall in love with this beautiful traditional two story 3/2 home featuring incredible character and charm. Large, sun-drenched living room with gorgeous hardwood floors and fireplace. Kitchen features built-ins, dishwasher, garbage disposal, hood fan and oven. Great den that is ideal for relaxing. Tastefully updated bathrooms. Also, has a private studio or home office. One car, detached garage with door opener. Must see! The grand two story entrance welcomes you to sunny living room with vaulted ceiling and fireplace. Huge open dining area and chef's kitchen boasts stainless steel appliances including wine cooler, an abundance of cabinets, granite counters, center island with vegetable sink and eating area. Lovely family room opens up to the gorgeous backyard. Generous master suite w/2 walk-ins w/private balcony. Soaking tub and dual showers. Bedroom with den and full bathroom is located downstairs...great for mother-in-law/maids qtrs. Hardwood and marble floors, dual zone heat and AC. Two car attached garage. Please call me for more information or to schedule a viewing. ​Newly renovated Baldwin Hills two story condo coming soon! Great kitchen with new appliances and granite counter tops. New laminated floors. Spacious living room with fireplace. Laundry in unit. Security building. One car garage. Please call me for more information or viewings. 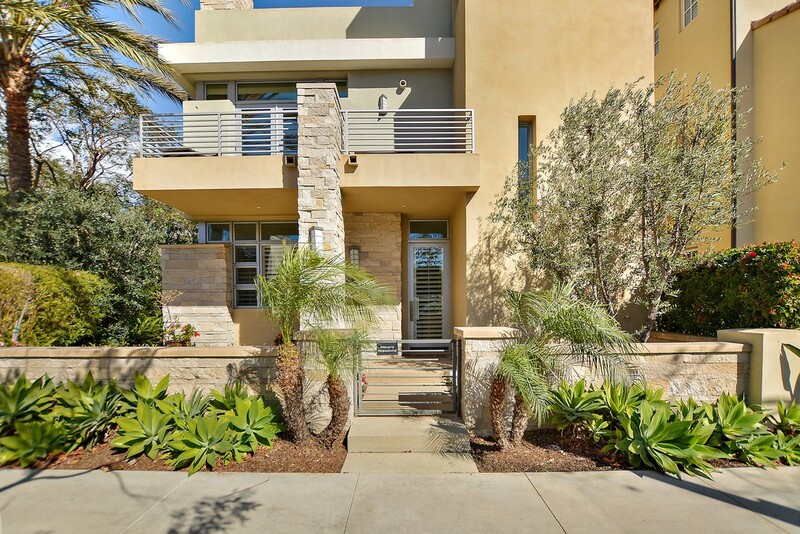 Live in paradise at a stunning and sophisticated John Laing luxury home in Playa Vista. This home will take your breath away! Beautiful design with an open floor plan featuring high ceilings, a gourmet kitchen, stainless steel appliances and a gorgeous center island ideal for entertaining. Home features a fabulous Master Suite with a fireplace, a beautiful bath and a huge walk-in closet. Two other bedroom suites and a fabulous office in a quiet location. Membership to the Center Pointe Club is included in your purchase. Amenities include an Olympic size swimming pool, gym with updated equipment, recreation rooms and a movie theatre. Come and fall in love with this gorgeous top floor condo. A very rare floor plan that is always in demand. This home is situated over the breezeway with lovely greenbelt views. The 2 bedrooms and 2 bathrooms are featured on opposite sides of the condo with an inside laundry. This home has a balcony and a patio, ideal for entertaining. Located in the highly sought after View Park area with stunning curb appeal. This beautiful 4 bedroom home invites you into a spacious living room with gorgeous hardwood floors and plantation shutters. Enjoy gracious entertaining in the gourmet kitchen with granite counter tops and stainless steel appliances. Large family room with surround sound, tastefully appointed dark oak hardwood floors and a stone fireplace. Retire to the expansive master suite featuring a brick fireplace, gorgeous hardwood floors and a designer's bath. Three other bedroom and two full baths complete the floor plan. 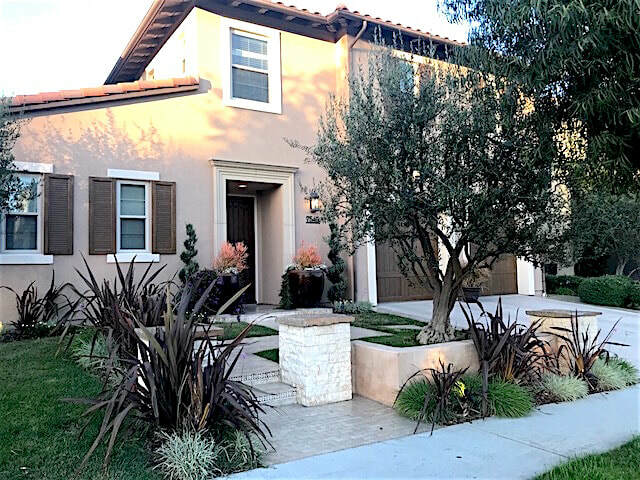 This stunning Ladera Heights Estates Lewis Executive Model Home built in 1994 features 5 bedrooms and5 bathrooms, a family room, a den area, office, an upstairs viewing area, and numerous high-end upgrades throughout. The entryway, living room and dining area feature gigantic vaulted ceilings. The family room has a fireplace, built-in book cases, and Canadian Redwood flooring. The Chef's kitchen has a large center island with a vegetable sink, counter tops with a granite backsplash, numerous built-ins and eat-in kitchen/breakfast area. There are 2 bedrooms and 2 bathrooms on the main level. The Master Bedroom Suite is amazing and has some city and ocean views! The Master Bedroom Suite features a sitting room with a fireplace that is also shared with the Master Bath and spacious sleeping area and spacious his & hers closets, and extra storage. ​Location, Location, Location! Great opportunity to make this Ladera Heights family home your dream home. Spacious living room with fireplace. Formal dining room. Terrific floor plan with great character and charm. Bright and sunny kitchen with breakfast area. Features huge master suite with closets galore. Lush greenery throughout the private yard. Wonderful patio ideal for entertaining. ​Wonderful family home in great neighborhood and quiet location. Bright and spacious living room with a gorgeous fireplace. Beautiful hardwood floors throughout the home. A large formal dining room. The kitchen features granite countertops with built-in stove, microwave and dishwasher and eating area. A beautiful in-ground swimming pool ideal for family entertaining and relaxation! 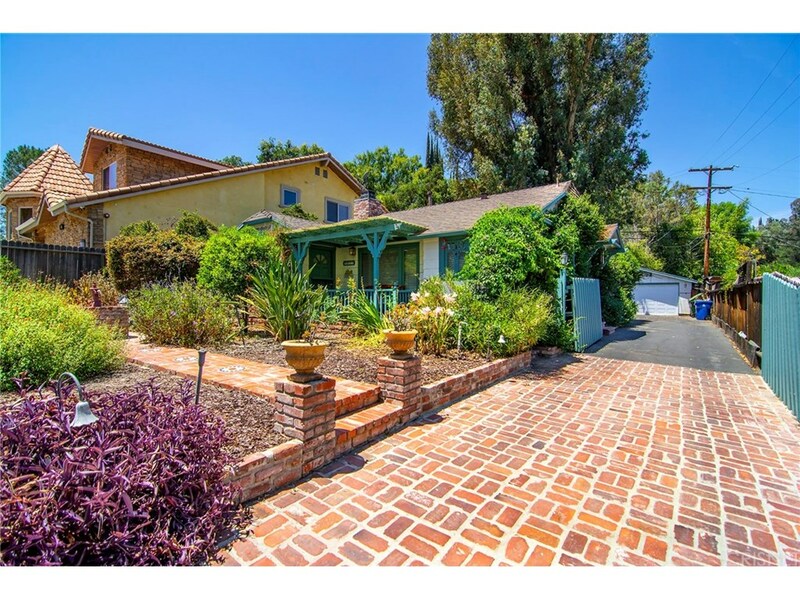 ​Wonderful two-story home in the most desirable location of Windsor Hills. Large living room with fireplace, bright and spacious. Formal dining room, great kitchen with loads of cabinets and an ideal breakfast area. Fabulous family room with city views. Great yard for entertaining. Easy to show. Great views from this large triplex with 3 spacious, 2 bedroom, 2 bath units. All units have large bedrooms with walk-in closets, living and dining areas. Remodeling includes, new tile flooring and kitchens have new cabinets, counters, appliances and floors. Washer and dryer hook-ups in each unit. Large and separate two car garages with alley entrance and extra storage. All units are tenant occupied.